Star Wars fans have plenty to be excited about for the upcoming Han Solo movie — it's directed by Ron Howard and stars Donald Glover as Lando Calrissian (and doesn't feature Jar Jar Binks) — and now the first full-length trailer has landed in this galaxy. In the new clip, we see a young Solo (played by Alden Ehrenreich) delving into a life of space crime. Tobias Beckett (Woody Harrelson) and Qi'Ra (Emilia Clarke) get him a job under Dryden Vos (Paul Bettany), but he can't take on the task at hand until he gets himself a ship. 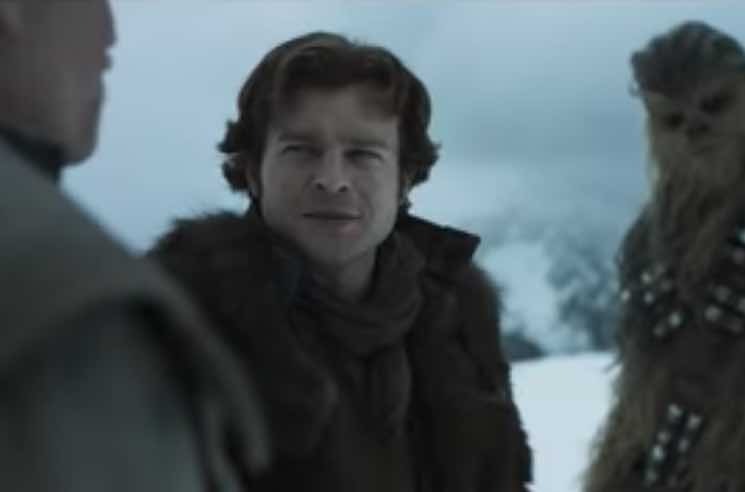 Solo and his trusty furry sidekick Chewbacca acquire the beloved Millennium Falcon from Calrissian, and things take an action-packed turn from there. Solo: A Star Wars Story hits theatres on May 25. Watch the trailer below.